The Obama Administration has announced a plan to reduce the budget deficit through a three-year freeze on non-security discretionary spending. What are possible long-term effects? Earlier this week, the Obama Administration announced a plan to reduce the budget deficit through a three-year freeze on non-security discretionary spending. 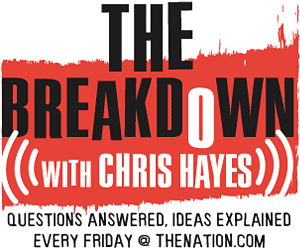 On this week’s The Breakdown, Washington Editor Christopher Hayes explains the details of the proposed spending freeze and its possible long-term effects on federal programs. Washington Post reporting on the announcement of the freeze.